It’s pretty rare to come across a founder or executive who doesn’t recognize that success in international markets is central to building a resilient and sustainable SaaS business over the long term. It’s even rarer to find one that’s been funded beyond Series A or B without a coherent international plan that’s good to go. Which is why it can be useful to take a look at how different businesses evolve in terms of localization as they grow. Learning from others’ mistakes and successes, benchmarking against peers, and sharing best practise is a big part of succeeding in this space. 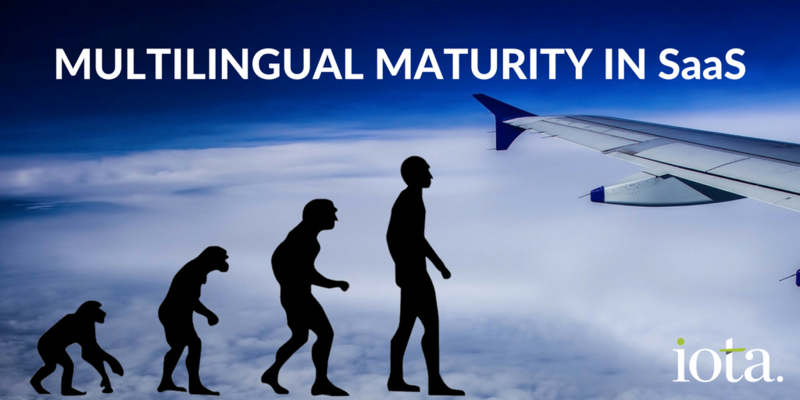 Based on our clients and experience, the table below will give you a feel for the most common path to multilingual maturity. 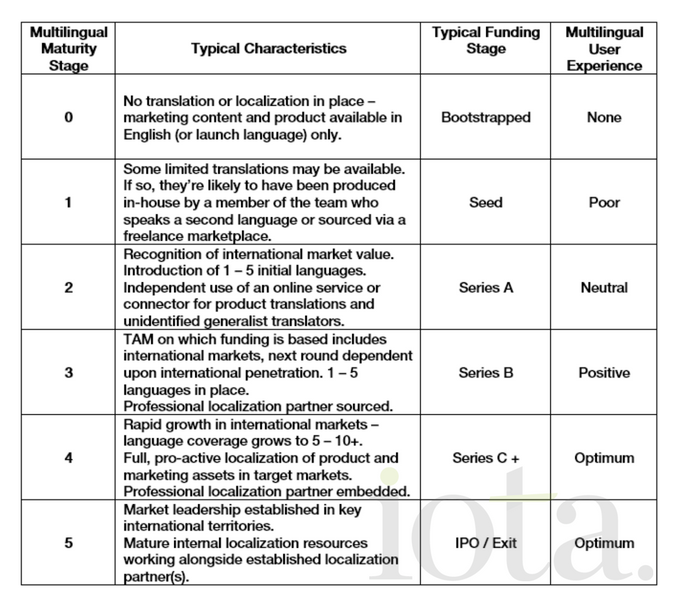 There will be differences and cross-over between marketing and product — it’s entirely possible that you may have multilingual marketing content before your product is fully localized. In reverse, you may have a localized product due to customer demand, without having yet localized your key marketing assets. Of course, it’s not meant to be prescriptive — just to give you a feel as to what the next step may be according to where you are now. We tend to get most involved from stage 2 onwards, but in many cases we’ve been talking to the organization involved from stage 1. It’s never too early to plan ahead, and always a mistake to leave your localization planning until the last moment.